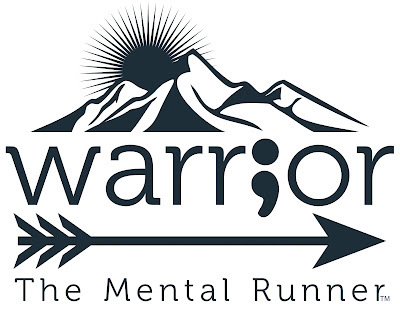 The Mental Runner: The Mental Runner Website Relaunch! The Mental Runner Website Relaunch! I can't begin to tell you how excited I am about the relaunch of TheMentalRunner.Org. I have spent every free minute I've had over the past two weeks updating and reconfiguring the information. I also made the entire site much more user-friendly by adding many new categories so that you can find what you are looking for with greater ease. Also, I've spruced up a few fonts and tried to make it not look like a robot put it together. I'll be making smaller, incremental changes in the future because there is still more work to be done, but this relaunch is a fantastic place to start. 1. The email subscriber service I was using wouldn't allow updates with any type of media to be sent. I resolved that issue by switching to the most advanced and reliable service available today. Please take a second now to add your email address in the box on the left to receive your weekly update. Even if you signed up with the other service, you will still need to re-enter your email to get the new updates. As always, I will send no spam, nor will I share your email address with anyone. 2. Every topic has been updated and reconfigured. I updated the content when new science had come out. I also reconfigured each topic so that it should be easier to see on your screen, and so that it fits better on your screen. 3. All sidebar menus have been moved to the left side of the screen. I realize nearly half of all readers visit from their mobile devices, and that inadvertently clicking on a link in the sidebar had become a problem. This will solve that for most. 4. There are now numbered Topic Title Boxes (like the one pictured below) so that each topic in a category is separated and can be easily distinguished from the one preceding it. I have also made a four topic cap per category. When more than four topics come up in a category, I will add a pt. 2 to the category and start with topic number 5. This makes the site much easier to navigate and topics easier to find. 5. As I mentioned above, there is an entirely new Catagories Section (pictured below). Obviously, more will be added each week, but this is where it stands as of this week. 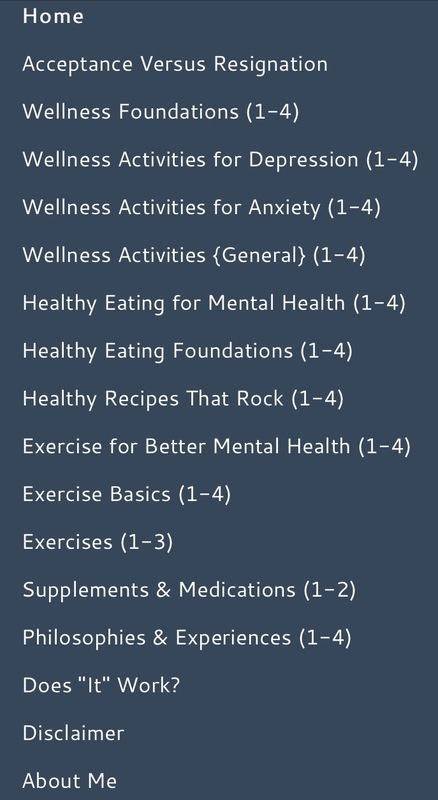 Breaking the categories up into much more specific sections and limiting the number of topics to four has made navigating through the information much simpler. There are many other small changes, but those are the ones that are the most important and have the biggest impact on your interaction with the site. I want to send out a thank you to all the readers who sent suggestions in. Many of these changes came from devoted fans who had wonderful ideas on how to make this site easier to use. I am, as always, grateful for everyone's amazing support. THANK YOU! As always, I wish you wonderful mental health and great successes eating healthy meals. If you, or someone you love, is severely depressed or anxious, please click this (link) and you will be directed to the International Association for Suicide Prevention. It is a fantastic resource and is staffed by wonderful people.